For full article: Click HERE!! 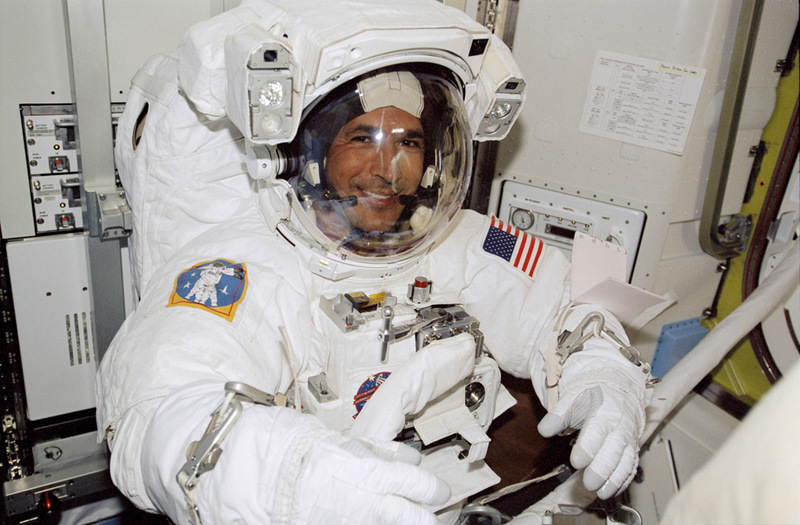 First Native American astronaut in space. A 13-day Space Shuttle mission to the International Space Station, a trip including three spacewalks for Herrington totaling nearly 20 hours. 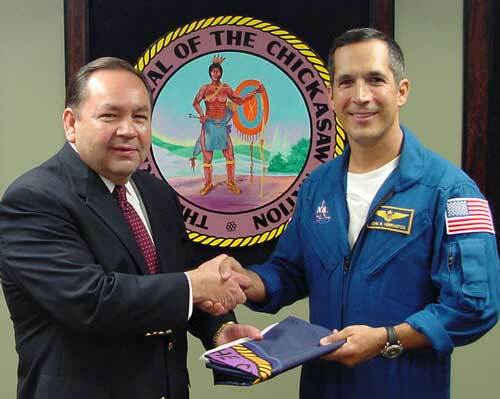 Fifteen years after that life-changing journey, Herrington decided to write a children's book, Mission to Space, rather than an autobiography, in hopes of showing children — especially Native American kids (he's an enrolled member of the Chickasaw Nation) — that dreams can come true, no matter where you start in life. "I played astronaut as a kid. I used to sit in a cardboard box and dream I was going to the moon," Herrington recalls. That dream is what kids connect to, he says, and why he wrote a book full of colorful images of him on the shuttle, in space and training for the journey, as well as of Chickasaws celebrating the feat. "This is not a stereotypical Plains Indian on horseback with a war bonnet," he says. "This is a Native person who's proud of where he comes from, who's gone through a collegiate career and professional career, but still honors where he came from." 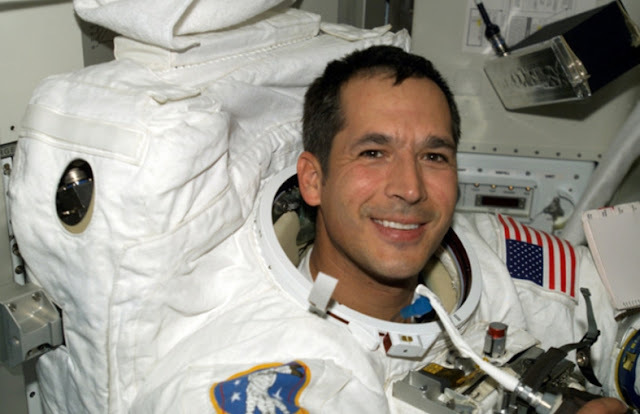 A children's book is a natural step for the astronaut, who has spent much of the past decade working on children's and tribal issues. In 2008, he rode a bike cross-country, visiting reservations and NASA Explorer schools, and telling his story of self-motivation and supportive mentors pushing him to places he could never have imagined as a kid. On the ride, he fell in love with a woman from Lewiston, Idaho, and he moved there in 2009. His passion for working with kids drove him to get a Ph.D. in education at the University of Idaho in 2014, and he's currently working with Rosetta Stone to preserve the Chickasaw language. In fact, the last two pages of Mission to Space — which he'll sign and discuss at Auntie's on Saturday — are dedicated to translations of Chickasaw terms for English words like "astronaut," "gravity" and "spacewalk." Herrington's excitement about his space travels comes through in the book, and even more so in conversation. Asked how he describes walking in space to us Earth-bound folks, he describes how "your mind will play tricks on you in space." "It will flip you upside down instantaneously in your brain, because gravity is not telling you which way is down anymore," Herrington says. "Your body doesn't have that sensation of being pulled down. So if you're looking at something, your mind will say, 'That's right-side up.' But you know full well you're upside down. The first time it happens, you go, 'Whaaaaa?' It's weird."